Love him or hate him, a lot of opinions surround the recent attempt made by John Allen Chau to reach the Sentinelese people—an attempt that ended with his death. I have followed his story as it has unravelled in the news and blogsphere. After reflecting upon it, I think there are three things we should take away from this man’s mission and our response to it. 1) We should wait until all the facts are in before rendering judgment; 2) we cannot assume that the world will understand our mission; and 3) we should reflect on whether have really counted the cost of following Jesus. First, wait until all the facts are in. I have read many blog posts and social media rants over the last couple of weeks that have implicitly or explicitly condemned Chau as a naïve, pleasure seeking man who sought to fulfill his dreams without thought. However, in recent days, the missions organization with which Chau worked (All Nations group) has revealed a far different picture. Whatever we think of the wisdom of his approach, John Chau was anything but unprepared. He spent his adult life preparing for this mission, learning linguistics and cultural anthropology through SIL and learning basic medicine (see this article). Before we rush to judge the motives and actions of men or women, we need to evaluate all the facts. And if we do not have all the facts, this recent case of misrepresentation should caution us against proffering judgment without sufficient information. Second, the world will not understand our mission. John Chau may have been prepared, but many have been quick to point out that he broke Indian law and to condemn his mission as a form of imperialism (e.g. here and here). The unbelieving world has been quick to condemn John’s actions. How could endangering one’s own life and the lives of the indigenous people on this island be worth such a mission? Such a criticism makes sense from a non-Christian point of view. However, such a criticism fails from a Christian point of view. What would be lost if no one went to the Sentinelese people? According to the Bible, unless the Gospel is preached and believed, there is no salvation (Rom 10:5-21). The preaching of the Gospel is God’s means of saving sinners from His righteous judgment against sin. Wherever the Gospel does not go forth, sinners remain in their rebellion against God and under His judgment. For this reason, the work of missions is worth the greatest costs. It is beyond life and death, it concerns eternal life and eternal death. If we believe this, then that changes the way we count temporal risks—our lives and even others. Yet Chau did break the law. And God commands us to obey earthly authorities (Rom 13:1-7, Mark 12:13-17). However, the Bible demonstrates that obedience to God at time trumps obedience to lawful government. For example, the rulers of Jerusalem (the Sanhedrin) repeatedly prohibited the Apostles from preaching the Gospel; they nevertheless continued, losing their lives for the sake of the Gospel (e.g. Acts 4). Throughout the history of the Church, Christians have broken the laws of man for the sake of obedience to Christ. Missions work in many countries around the world remains illegal and Christians are forced daily to break the law in order to be faithful to Christ. The cost is great for such action, yet Jesus warned us about the costs of following him (Matt 16:24-28, Luke 9:57-62). This is not permission to wantonly break the law, but it is a call to prioritize the authority of God over the authority of man. Third, have we counted the costs? John Allen Chau spent his adult life pursuing a singular goal of making Christ’s name known where it has not been heard. From what we can see, he counted the costs of following Jesus, pursuing Him at the expense of the life many of us take for granted—sacrificing his life, comfort, a future family, etc. He died making this sacrifice. In addition, he had to count the cost of his endeavour. Though his organization took the best possible precautions, it very well could have been the case that he would transmit a deadly disease to these people. Yet he went anyways. Is this reckless, selfish? Whether or not we would have taken the same approach if we were trained missionaries in his shoes, from a Biblical worldview this was neither a reckless nor a selfish act. It was brave and selfless, seeking to bring life to others at the cost of one’s own. Apparently, from what I have read, John understand the importance of bringing the Gospel to the world. He understood the cost of following Jesus in obedience to His commission (Matt 28:16-20) and reckoned that following Jesus was worth more than life in this age. 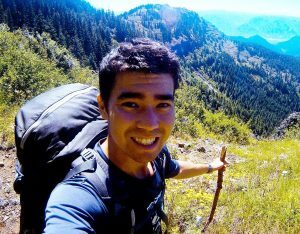 John Chau’s short life and his death demonstrate the cost of intentionally following Jesus and challenges us to reflect, have we really counted the costs of faithfulness to Christ and are we willing to bear these costs for His sake? There are many factors that need to be weighed in evaluating John Chau’s mission. One thing is surely the case, this man attempted with his life and skills to bring the Gospel to those who have not heard it. This alone deserves our commendation, even if reservations are held on the exact manner by which this was done. The question Chau’s life poses for us, for me, is this: have we counted the cost of following Jesus and shaped our life around His mission or have we gotten a little too comfortable with the ways and perspectives of this world? Have we grown so comfortable with the World that the thought of breaking international law for Christ’s sake sounds preposterous? That preaching the Gospel sounds like imperialism that should be stopped? Let this man’s story challenge us in this regard. What do we and will we sacrifice for the sake of Christ?